2:55 PM EST That does it. Thanks for following. June 3 – trial begins. 2:50 PM EST A number of the witnesses testifying in secret will be testifying to Specifications 12 & 13, counts related to the disclosure of US diplomatic cables. Up to this point, the State Department has exercised incredible control over the information going above and beyond to ensure the public does not get to know too much about why they did not want information disclosed to the public or even why the defense did not have a right to use that evidence in their arguments during the court martial. 2:49 PM EST It was Don Yamamoto, Acting Assistant Secretary for African Affairs for the State Department, was the witness who the government produced for the “dry run” session on May 8. The judge’s ruling indicated there had been one “spillage” of classified information during the “dry run.” She stated in her ruling that the “dry run” demonstrated it was “not possible to elicit coherently nuanced” testimony on classified information in open court. The silent witness rule or codes or legends not available to the public would not work. The court would have difficulty understanding what was said and it would place a burden on the witness that could cause the witness to fumble and spill classified information. 2:47 PM EST The government submitted reviews to the judge that she said in her ruling showed serious harm to national security could be caused to foreign relations and intelligence activities if portions of the proceedings were not closed for 24 witnesses. 2:40 PM EST In the judge’s decision on closing portions of the trial, the judge said there was concern about the public “being able to connect the dots and figure out” what classified information was being discussed. This is the mosaic theory, that alone the information disclosed might not be entirely understandable to the public but because information Manning disclosed is available to the public they could figure out what was being said and that would pose risks. 2:35 PM EST The judge ordered the “expeditious” production of transcripts of closed sessions so unclassified portions of testimony can be released to the public. Legal matter expert giving briefing to press pool calls this “unusual.” The expert explains, because alternatives did not work, to protect public’s right, a transcript will be turned over to original classification authorities. Classified information will be censored or blacked out. Anything in between the black will be released for the public to read. 2:30 PM EST Pretrial hearing concludes. Going to trial and that begins June 3. 12:55 PM EST The biggest news so far is that the government will not be pursuing the greater offense charged for disclosing diplomatic cable, “10Reykjavik13.” Here’s a report on this development. 12:45 PM EST Sequester: Already this has had an impact. The trial cannot convene on the weekends because of budget cuts. Furloughs are also going to have an impact on a dozen people directly involved in the trial—from public affairs to defense affairs experts to court reporters. Military employees are not subject to furloughs. The government, defense and judge are working out how to handle this so it does not disrupt the trial too much. 11:45 AM EST Judge Army Col. Denise Lind was especially concerned about argument over the content of US diplomatic cables. She said she was concerned Manning’s trial could “devolve into many trials regarding international politics in many regions of the world.” Argument would be allowed but she said she would be ensuring argument was brief, limited and focused on the contents and she would not hesitate to try and exclude evidence if she found it necessary. 11:40 AM EST The judge read a ruling with regards to what evidence on the contents and circumstances of the information, prospective damage that could have been caused to the US on the date of release and defense rebuttals to testimony would be relevant. She essentially found this sort of information would be relevant to to proving he had violated 793e, a section of the Espionage Act, and related to the national defense. Also, she found it it was relevant to whether the information he is charged with disclosing was intelligence that was “true or at least in part” and the value element of violations of a federal larceny statute, as well as the charges that allege he engaged in conduct that was “service discrediting” to the military. UPDATE – 11:00 AM EST The government will not be pursuing the greater offense related to Manning’s disclosure of a diplomatic cable from the US embassy Reykjavik, Iceland. He pled guilty to lesser offense included in the specification of the charge on February 28. A final pretrial hearing in the court martial of Pfc. 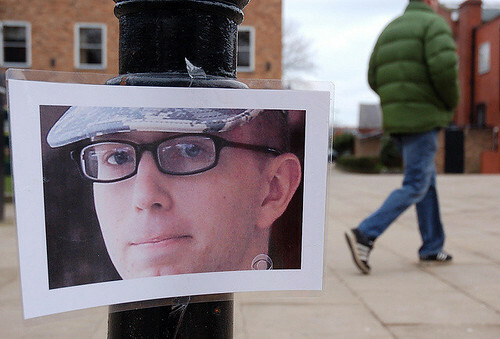 Bradley Manning is being held today at Fort Meade in Maryland. Decisions on how to handle testimony from classified witnesses during the trial, which begins on June 3, are expected. The hearing was previously scheduled to go until Friday, May 24, however, a legal matter expert from the military suggests the hearing could conclude this afternoon. Military judge Army Col. Denise Lind opened court and said a closed session was necessary on May 7. A “dry run” was held where the judge explored how to keep proceedings as open as possible. Several iterations of cross-examination were conducted to see how much information could be elicited without spilling classified information. Manning has access to classified discovery evidence. He was present during the “dry run” session. As the accused, he should be able to see all evidence against him and remain present during all closed sessions of the trial. While these changes may not have any implications for Manning’s trial, the press was given notice that the military rules of evidence (MRE) were recently amended on May 15. According to the Uniform Code of Military Justice, whenever there is a change in federal rules of evidence, changes are made so they remain consist with federal rules. Search and seizure rules, confessions and admissions rules and Miranda rights rules were amended. There were adjustments to who can make classification decisions with regards to turning over classified evidence and how to request ex parte reviews (reviewing evidence for one party alone). There could be discussion this afternoon or in the morning about what impact this might have. Deliberation over defense witnesses Ambassador Peter Galbraith, Professor Yochai Benkler and Col. Morris Davis. Specifically, discussion could involve efforts to obtain or update security clearances for each of them. I am in the media center at Fort Meade. There is a good amount of press here: The Washington Post, Associated Press, The Guardian, Courthouse News, Al Jazeera English, Agence France Presse, Huffington Post, Alexa O’Brien, Nathan Fuller of the Bradley Manning Support Network and a few others who I do not know. Clark Stoeckley is here doing sketches. Look for updates on Twitter at @kgosztola and at the top of this post throughout the day.